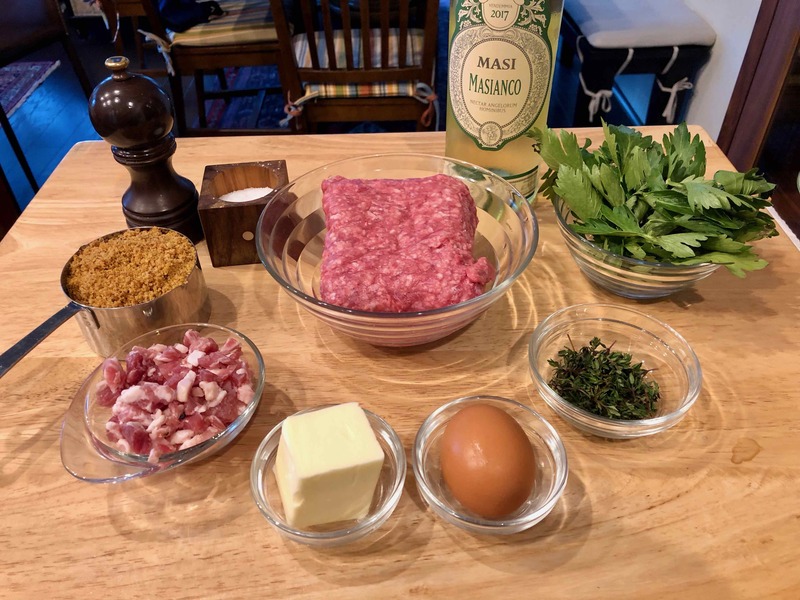 Like many of Hazan’s recipes, this one calls for only a modicum of ingredients. 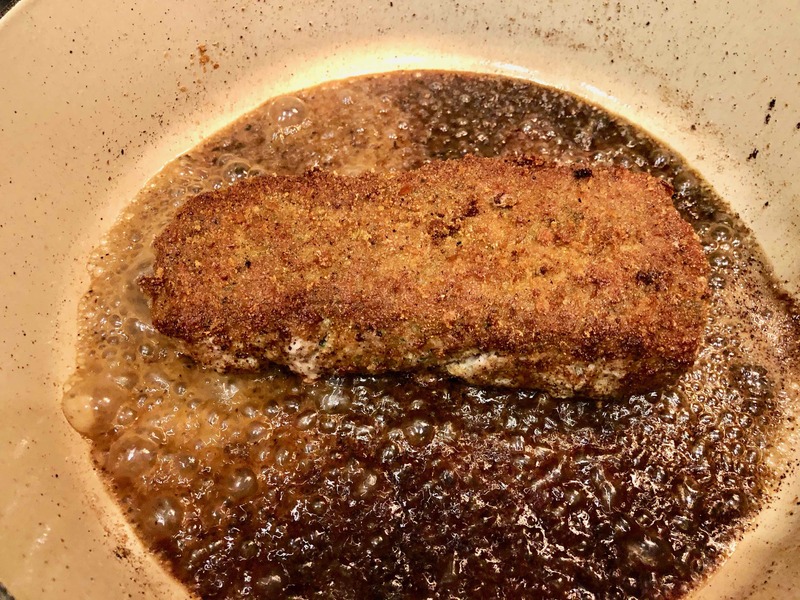 Interestingly, unlike many recipes for meatloaf it does not use a panade, bread soaked in milk and then drained, for added moisture and tenderness. 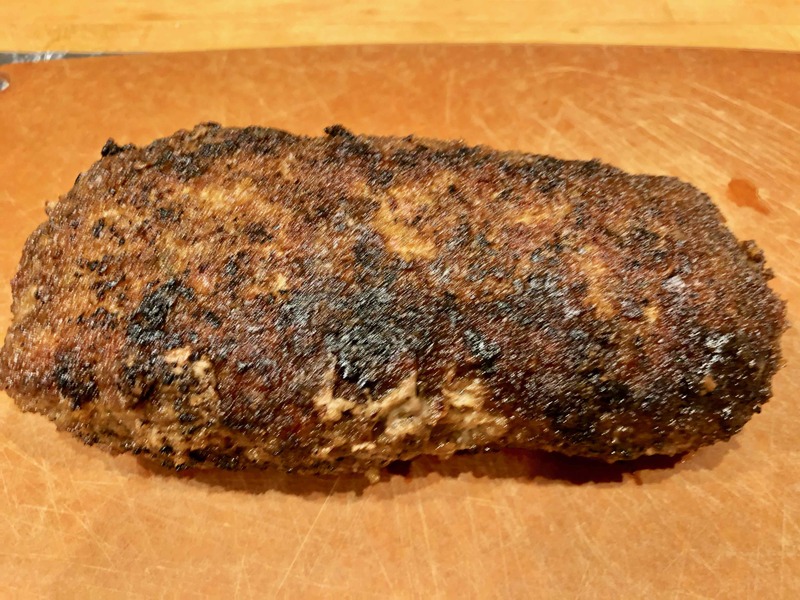 As a result, this meatloaf is denser than most but is nonetheless wonderfully textured and full flavored. 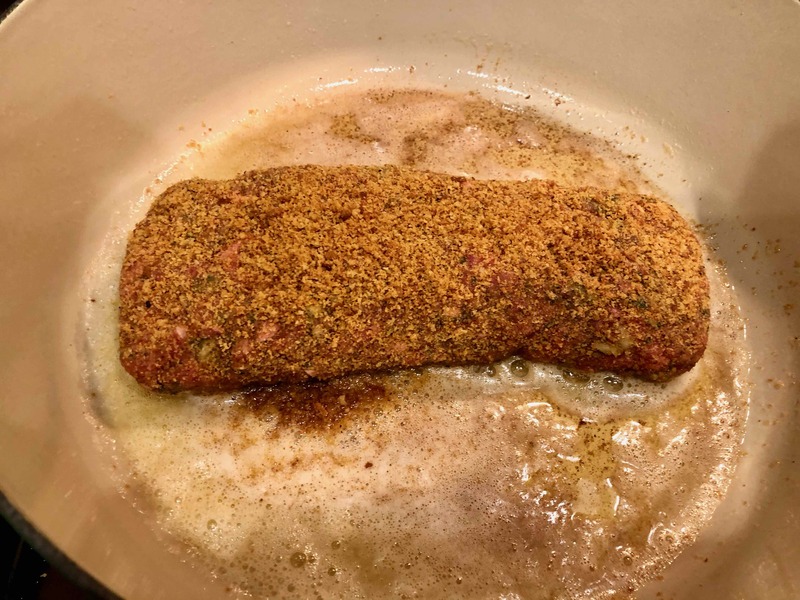 Lightly toasted breadcrumbs are used as a coating for the loaf, which is then browned in butter and then slowly simmered in white wine for about an hour. 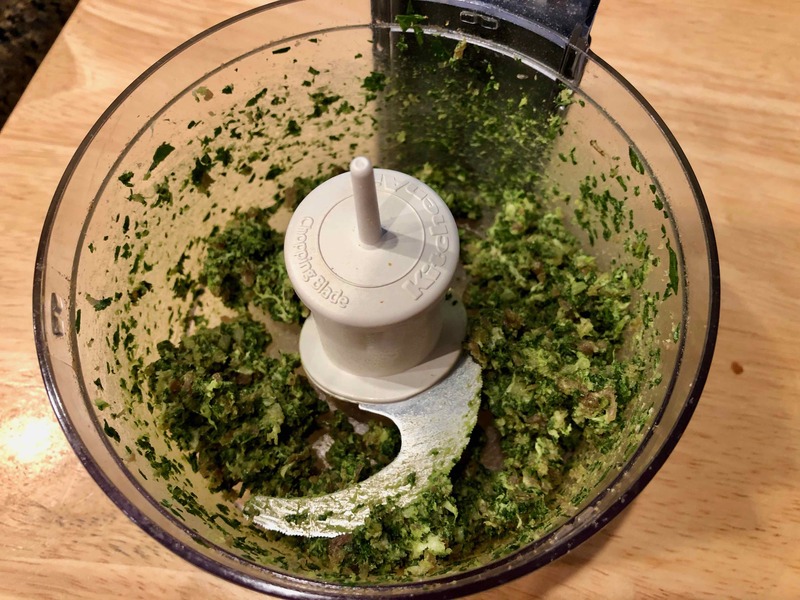 Key to both flavor and texture are the celery leaves. The recipe calls for a half cup of leaves “from the tops of a celery heart”; however, these days most celery seems to come with just a few. For this reason, I visited our local farmers market, where I was able to find a bunch of celery sporting a full head of huge, verdant leaves. I should perhaps mention that before attempting to make this recipe you should have a pair of spatulas, one for each hand, to be able to turn the loaf without breaking, as well as a large enough, heavy-bottomed pot to accommodate a 7×4 loaf with adequate room for turning. My only variation from the recipe was substituting a tablespoon of chopped fresh thyme leaves for the 2 bay leaves. Given the variation both in their size and flavor, I wasn’t comfortable using them. I didn’t want their flavor to overwhelm the dish. Moreover, I wasn’t sure I could grind them fine enough. If you have the required gear and are able to find sufficient leaves, I highly recommend trying this recipe. 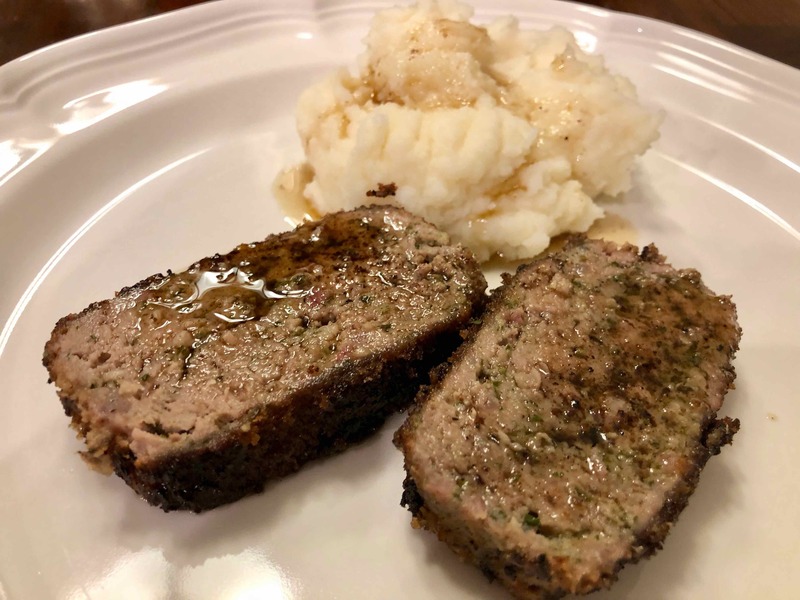 The meat loaf tastes more like a moist veal roast with plenty of meaty flavor, complemented nicely by the herbs and buttery, nutty pan juices. I chose to serve the loaf with creamy mashed potatoes seasoned with truffle salt. 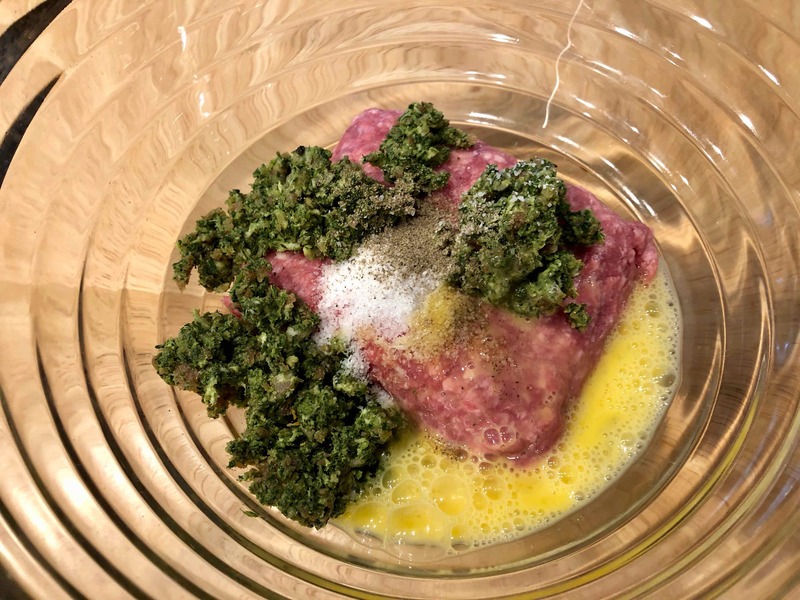 2- Combine the chopped pancetta or bacon mixture with the ground meat, adding an egg, about 1 teaspoon of salt, and several grindings of pepper. 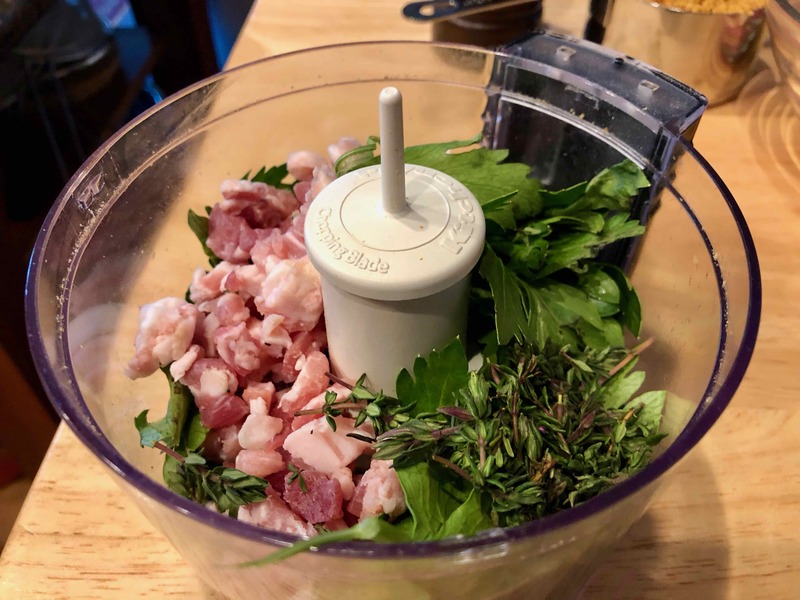 3- Knead the meat with your hands to amalgamate all the ingredients thoroughly. 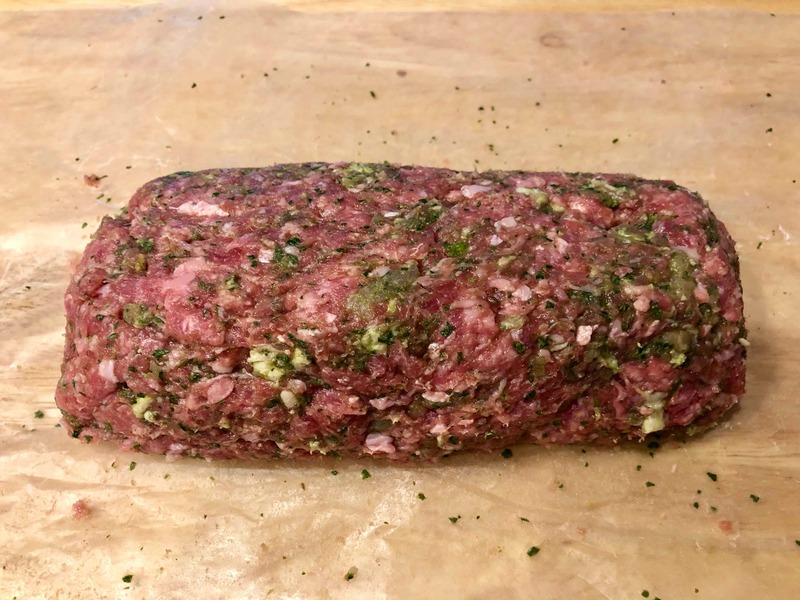 Shape the meat into a roll about 6 to 7 inches long and 4 inches thick. 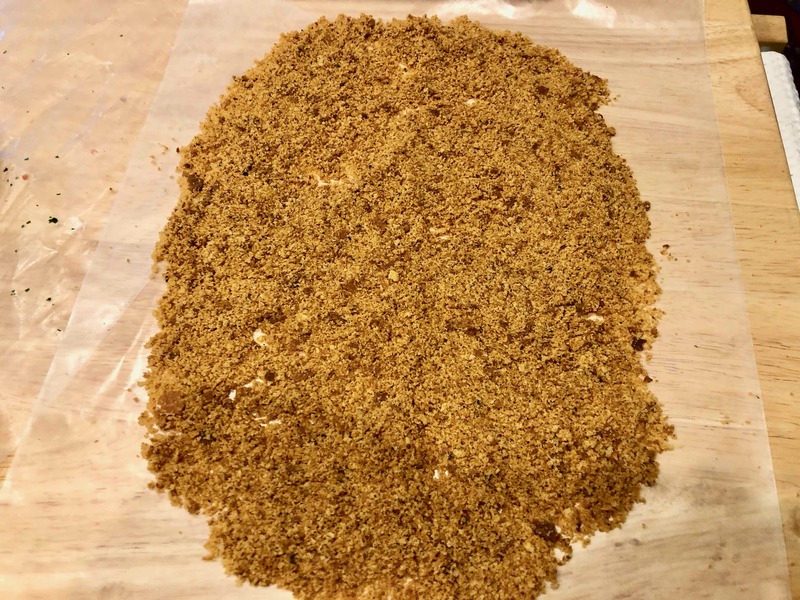 4- Spread the breadcrumbs on a length of wax paper or aluminum foil. 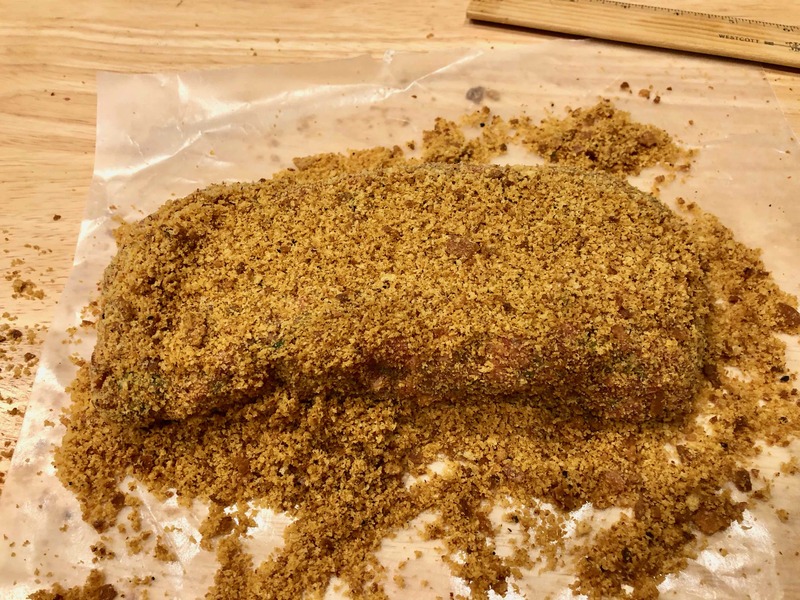 Roll the meat over the bread crumbs so that the crumbs will cover it and adhere to it all over. 5- Choose a lidded pot that can subsequently accommodate the veal roll with enough room for it to be turned. 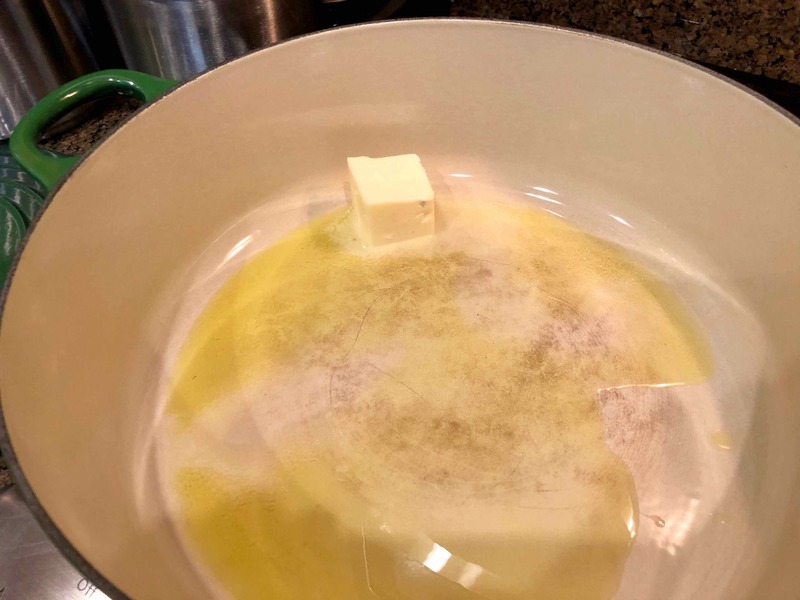 Put in the butter and the oil and turn on the heat to medium high. 6- When the butter foam subsides, put in the meat keeping the pot uncovered. Brown it well on one side, then turn it over. Turning it requires care to avoid breaking up the roll. Try using a spatula in either hand and handle int very gently. Wow, 17.5 hours is a long time. I bet you were a bit worried. Glad to hear all seems well. Marcella’s Italian Kitchen is a great book and one I reference often. Although I’ve not cooked this particular recipe. 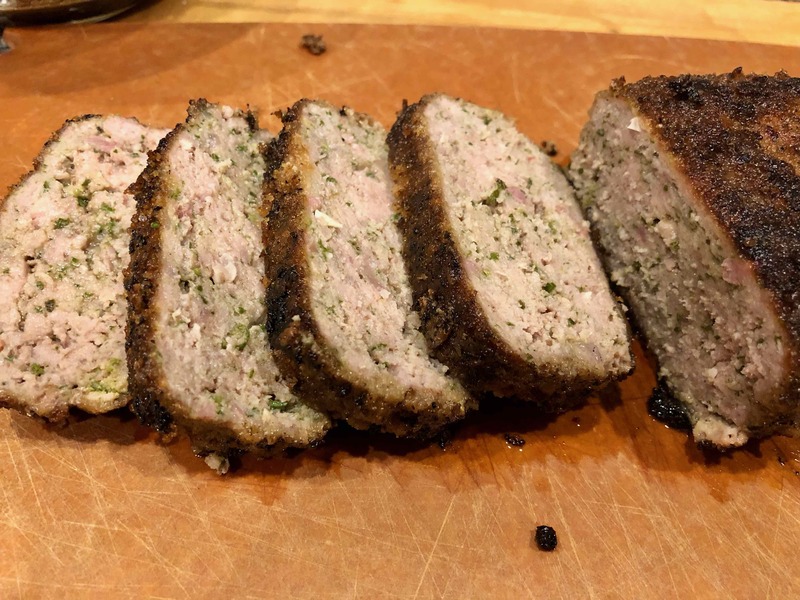 I do make a very similar polpettone using minced lamb, veal and pork. 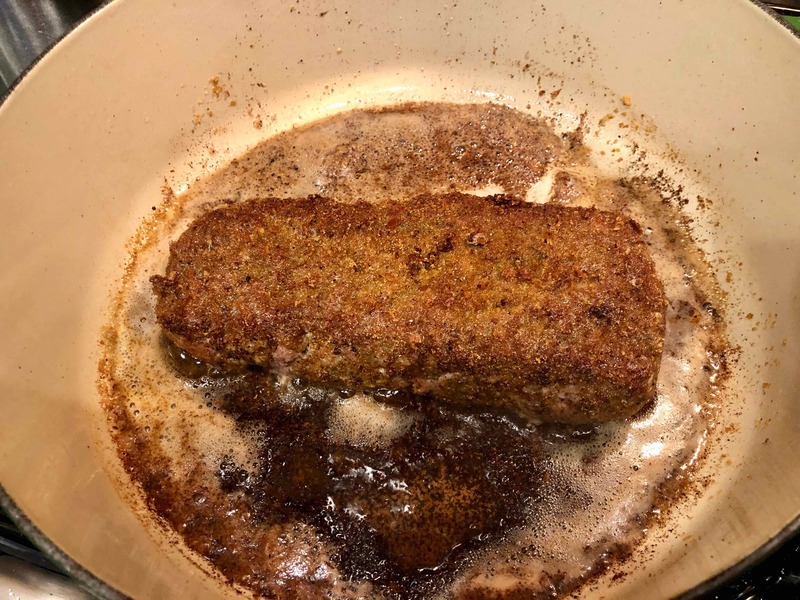 Your polpettone looks very tasty. Thanks. 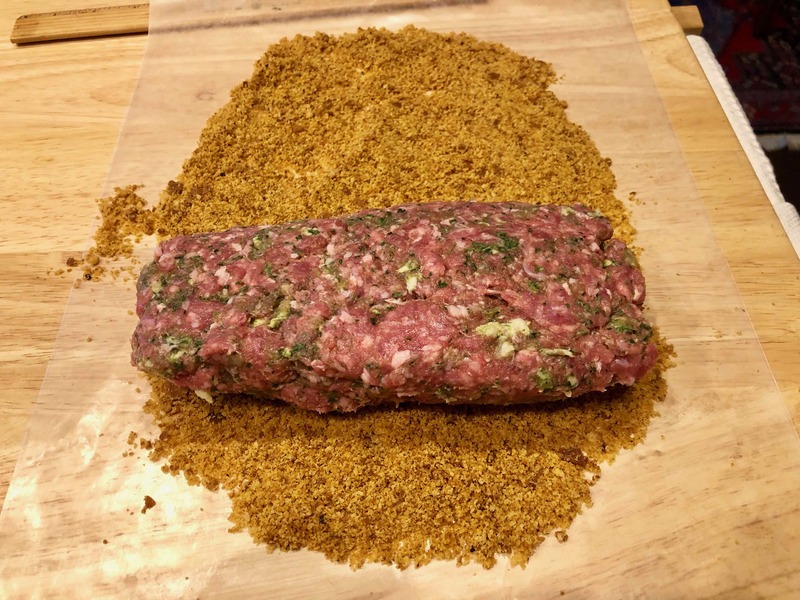 One of my first meatloves was Marcella’s Tuscan meatloaf with porcini. As I may have already said, I was intrigued by the celery leaves in this one. I still have to make a meat loaf with some lamb. Sounds interesting.